Over 500,000 live audience and live worldwide television audience. 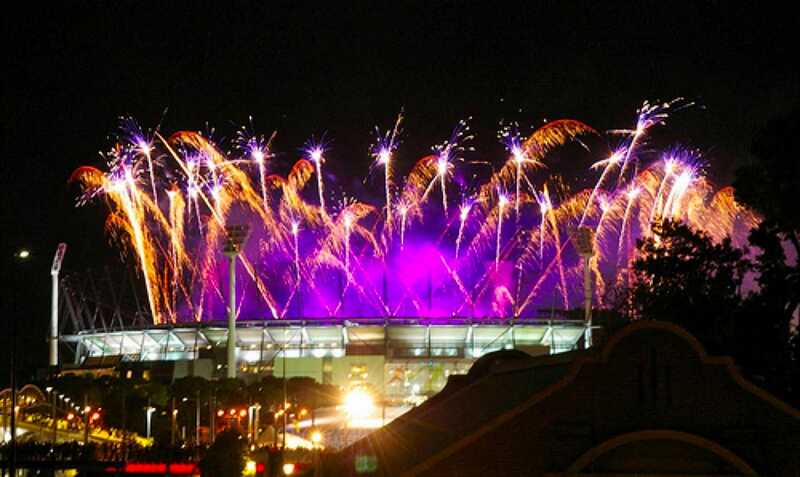 Howard & Sons Pyrotechnics was appointed by JMW and Melbourne 2006 Commonwealth Games Corporation to present the entire pyrotechnics & special effects requirements for the Melbourne 2006 Commonwealth Games Opening & Closing Ceremonies. 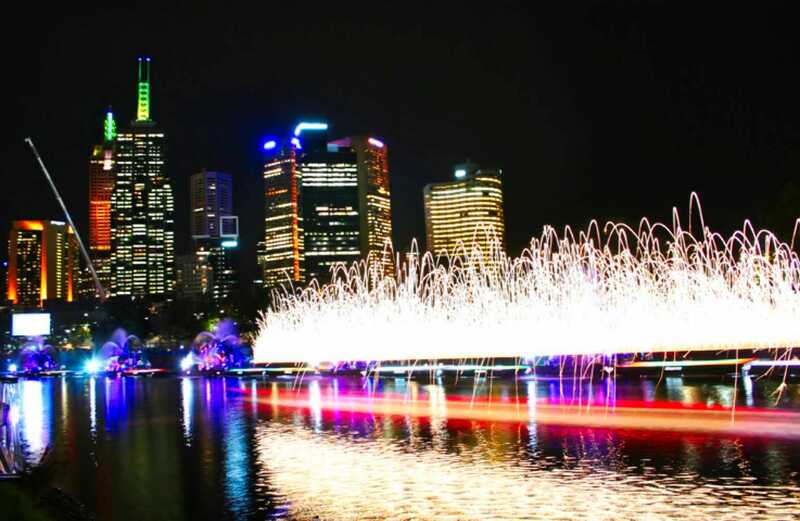 The Ceremonies included firing amazing complex pyrotechnics chase sequences around the MCG stadium rooftop, and along 36 pontoons on the Yarra River, off the Swan Street Bridge, city buildings and firing specially designed and manufactured pyrotechnics mounted on live performers. 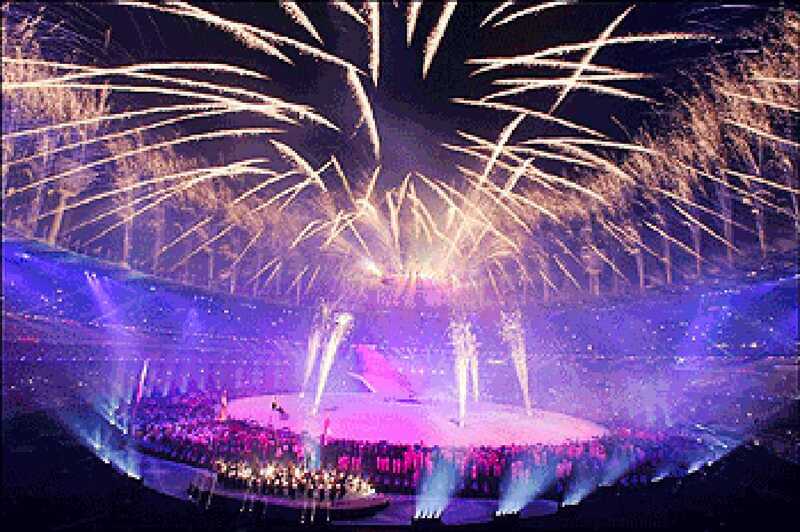 The 2006 Melbourne Commonwealth Games project again demonstrates Howard & Sons knowledge and experience of working on large scale events, as a integrated part of a much larger event management team, in various and multiple firing locations, in inner city environments, with other multimedia elements & suppliers such as sound, lighting, projection and large numbers of cast. 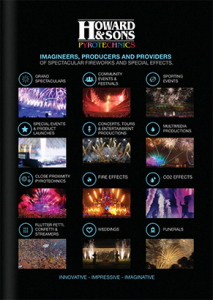 Howard & Sons arranged all pyrotechnic elements such as designing & manufacturing new products, new firing patterns and fabricating new display equipment to produce the new display designs. 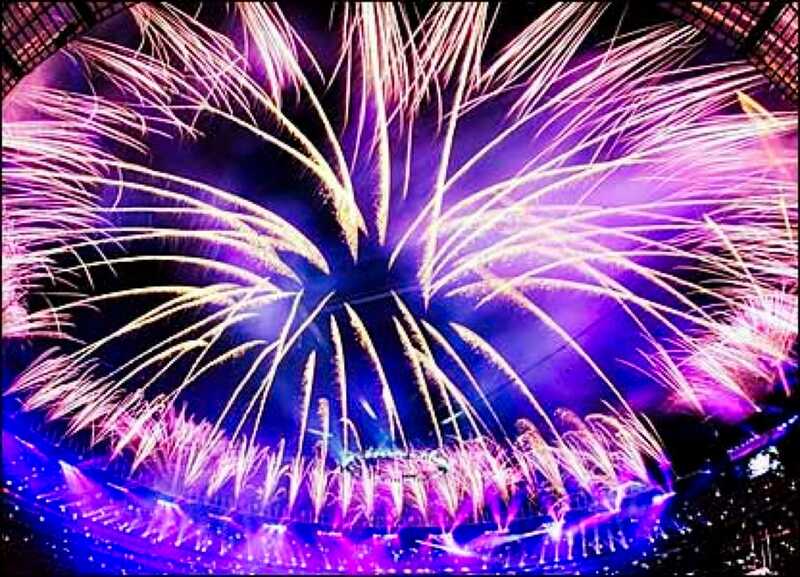 Howard & Sons managed a huge team of Pyrotechnicians, firing from many city sites, computer firing controllers, redundancy systems, dangerous goods transport, permits, cast members pyrotechnics training, safety risk assessments, environment management plans and emergency procedures.